Blush Horizon de Chanel, the "Glowing Blush Harmony", is the star of Chanel's Harmonie de Printemps collection for spring 2012. 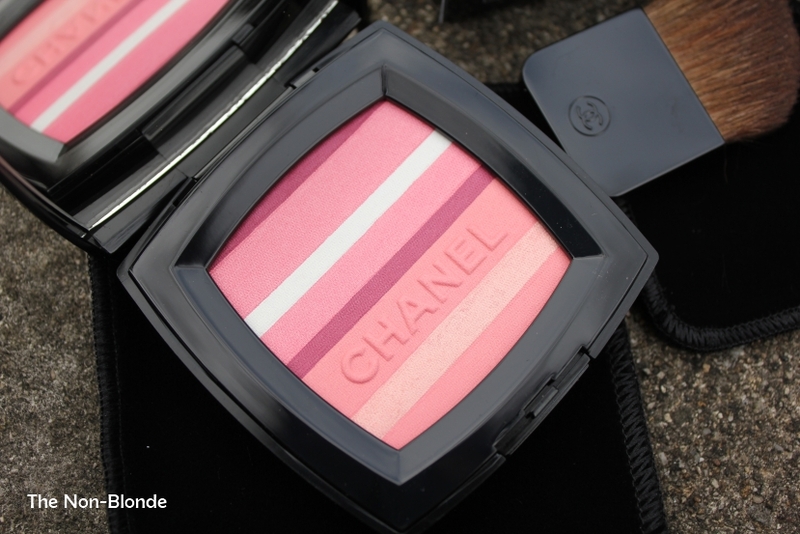 It's gorgeous in the pan, pretty on the cheeks and captures the theme Chanel chose for the season, a spring sunrise. Now that the winter solstice is behind us I'm a little more open to the idea, though I dearly wish the kind people of Chanel had waited another month or so to release Blush Horizon. The colored stripes go from white to deep wine, but the majority of the product comes in the wider stripes in wearable rose, coral and peach shades. 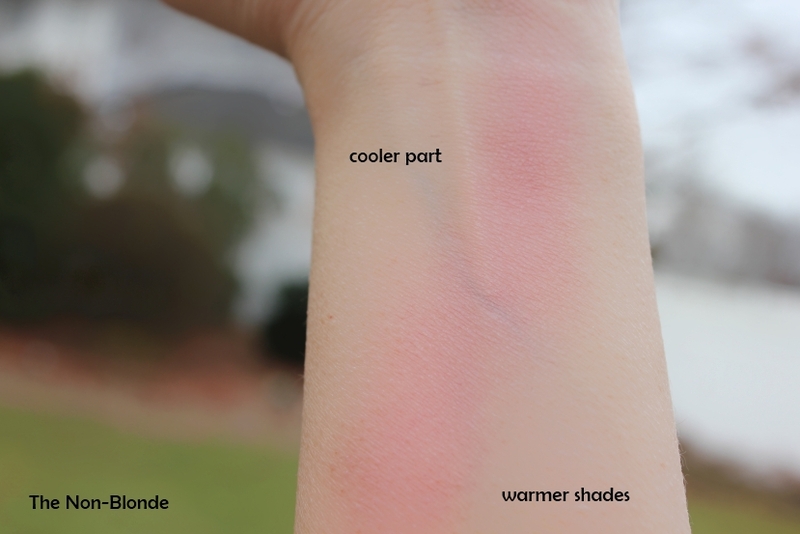 The overall effect is more or less medium pink that you can slightly adjust towards cooler or warmer tones. However, since the compact is a normal size and the stripes are quite narrow, this is mostly a gimmick- you can't really pick the individual colors, even with a narrow eye shadow brush. So it's more about using more of the top half (cooler rose tones) or bottom half (warmer peach). 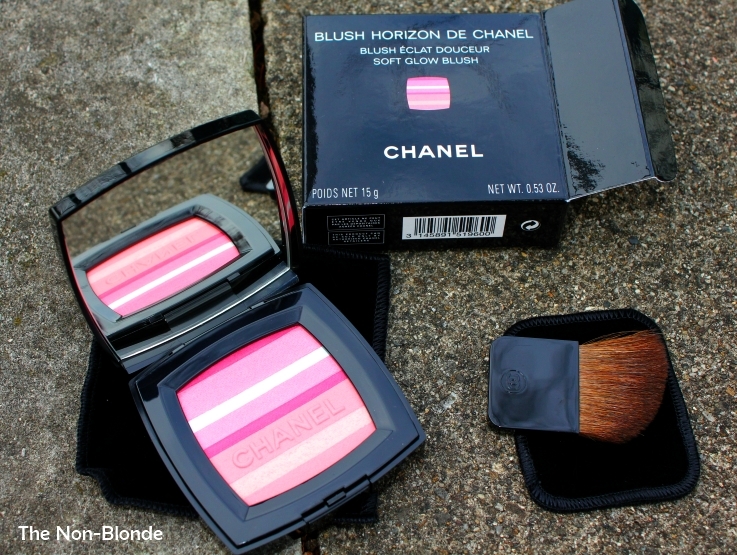 The various shades of Blush Horizon de Chanel do blend beautifully together and the texture is very fine. It fully delivers on the subtle glow promise-- not much of a shimmer and no visible particles, just a pretty luminous look. The shades are pretty universal though at least on my skin it leans very pink. The pigmentation level is quite intense so I use a light hand. One swipe of the brush is enough for me, at least this time of the year. Perhaps when the sun gets more serious in its appearance and the days get longer I will consider using a bit more. Right now a hint of Blush Horizon de Chanel is all that I need to revive my winter pallor. 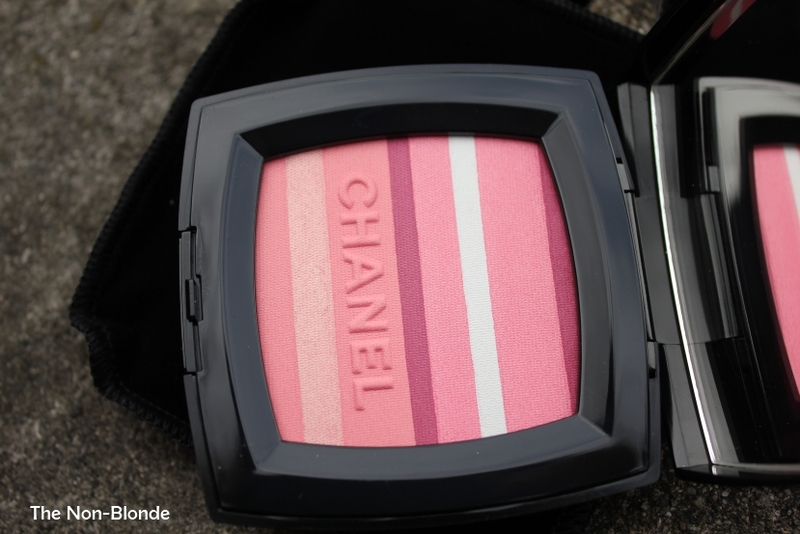 Blush Horizon de Chanel ($58) is available at the counters and from chanel.com. Very nice! Thanks for the review. I was wondering how the stripes work. They do seem really narrow in the pan. The swatch looks pretty nonetheless!